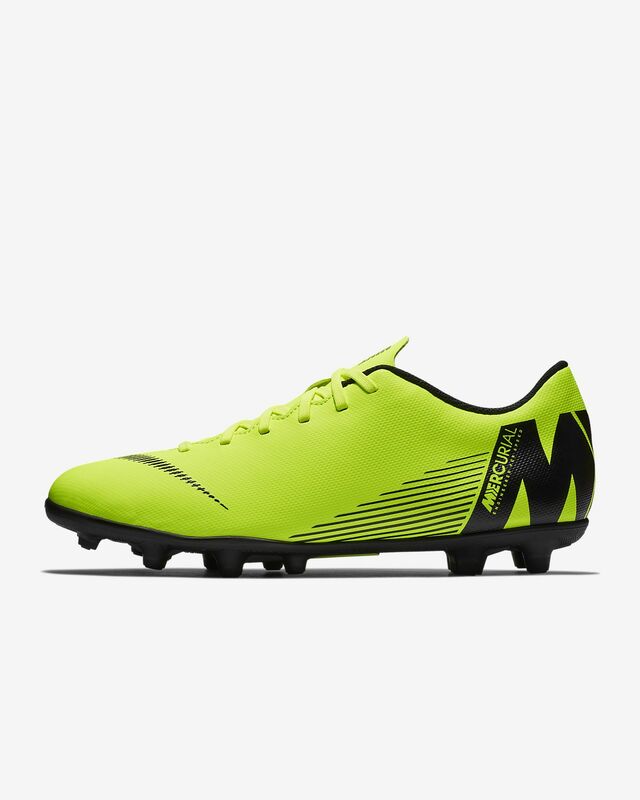 The Nike Mercurial Vapor XII Club Multi-Ground Soccer Cleat provides exceptional ball touch and a specialized outsole that promotes acceleration and quick directional changes on multiple kinds of surfaces like natural and artificial grass. Synthetic upper hugs your foot for true touch at high speeds. Sockliner for lightweight cushioning to reduce cleat pressure. Multi-ground (MG) cleats for use on firm ground (FG) and artificial (AF). Bought the shoe for our daughter who plays Lacrosse. It was to replace another cleated shoe that she grew out of.